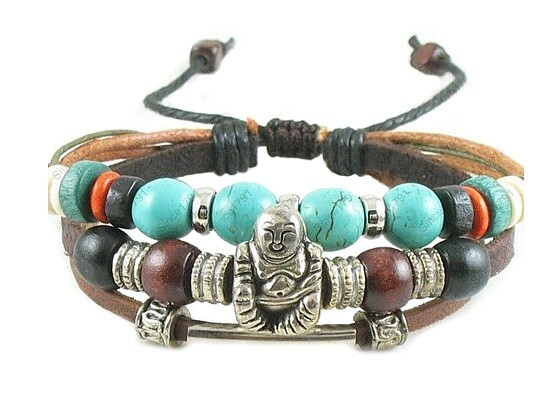 Fabulous urban chic bracelet featuring four smooth Turquoise circular beads, wooden beads in a variety of colours, plus lots of funky, ornate Tibetan silver beds and spacers, with a smiling and very funky Tibetan Silver Buddha as the centrepiece. All threaded on leather, with adjustable prayer bead tie. Unisex. Fabulous. Just made for layering!